Twenty years ago, if you had told someone you would be able to someday walk into a public store and purchase marijuana, they probably would have laughed in your face. Legal access to marijuana, in one form or another, is becoming more and more possible, and if you guessed that the business of distribution is looking up, you’re right. But you can’t just start selling cannabis out of your home. If you want your dispensary to flourish, you need to know your market. To drive engagement in the modern market, you need to have an online presence and engage with your target audience using social media. This process can even begin before your official opening date if you use your website or social platforms to collect contact information from potential customers. Keep them coming back with promotions or interactive sessions such as cooking classes or yoga. The staff of your dispensary will also ultimately determine whether customers have a positive or negative experience there. Recruit people to work for you who understand just as much about customer interactions as they do about cannabis strains. Sometimes it’s best not to overthink things. 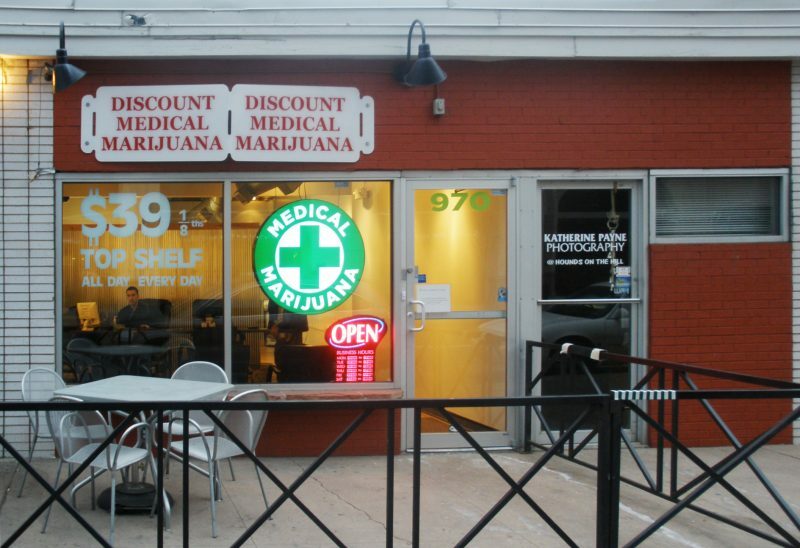 In some states, like Colorado, dispensaries are springing up overnight. Many of these businesses will fail, and for some, it will be because they chose a location next to a gas station on an abandoned stretch of road. You should aim to place your business in a space that is far enough from residential areas not to cause a commotion, but easy to access. Choose a clean part of town close to other legitimate businesses. Also, understand the way state laws might implicate where you can and cannot operate a dispensary. For example, in the Pennsylvania Commonwealth, only 27 permits will be allotted for the state. Understand your local laws before moving forward with your plan so that you can ensure you have a chance at being successful and not wasting time and money. If you’ve never seen a shady-looking dispensary, you can probably imagine what one looks like. You are creating a place of business, where people need to feel comfortable, so it’s critical your dispensary is presentable and clean. Make sure your space is ample enough for several patrons to visit the shop at once. Your shop should be well-lit, and your message should be geared toward the real benefits of the product you’re selling. This is not a head shop. It’s a place where people can come to feel better. No matter how thorough your preparation, there will always be something you overlook when taking on the launch of a new business. That’s why you should hold a soft launch where you invite only family and friends to attend and feel out the space. Make sure they move naturally in the space, can find and learn about products easily and can register with your business quickly and efficiently, if necessary. You probably won’t be able to have actual cannabis available ahead of your opening date, and that’s no problem. The point is to collect feedback in a comfortable environment, instead of a hostile one. Any business needs to take security into account. In the field of cannabis, the potential for theft is high. Many products are small and easy to shoplift, so install high-quality security systems that will keep shrink down and allow you to operate at ease with customers. Keep your security measures discreet. It’s fine to have a few small cameras in the corner, but if your visitors feel surrounded by high-tech surveillance, they might get the creeps. Protect your investment, but do it the right way. Before you open, it’s crucial to make sure the equipment in your shop is government-compliant. Make sure you comply with the law! If you choose not to ensure compliance, and a customer presses charges, you could face fines of $10,000 or more. So while the cost of a consultant might seem high at first, it’s worth the money. Transparency should be the goal of your shop policies. Having confidence in your equipment is step one in allowing you to achieve that. Remember, this is just the beginning. Going into business for yourself will inevitably bring unique challenges, but hopefully, you’ll be on solid ground, ready to take them on.